Bridal Guide - Can you Honeymoon for under $1000? Can you Honeymoon for under $1000? The quick answer is yes. The long answer is… it depends on what your idea of a honeymoon includes. If you’re looking for a week of lush pampering in an exotic country, you might want to increase your honeymoon budget. If all that matters to you is that you get some kind of alone time together after your wedding, then here’s a few more cost-efficient options. 1. Go for the weekend. The internet is host to plenty of cheap (all-inclusive) weekend getaway offers. Try the last-minute deals on sites like redtag.ca or keep an eye on Groupon sites. 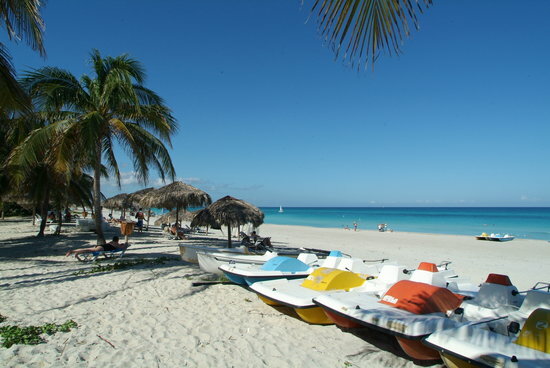 You may have to sacrifice a hotel star or two, but you’ll still be laying on a beach in Cuba. 2. Rent a cabin or go camping. Think outside the box here. Grab a passport and head over the border to camp in a bordering state for a real getaway. Try Acadia National Park in Maine for $30/night. White Mountain National Forest in New Hampshire for $18-$24/night. Green Mountain National Forest in Vermont for FREE. Harriman State Park in New York for FREE. (Hike and then bed down in a 100 year-old lean-to!) Minnewaska State Park Preserve, New York for $38/night. Pine Grove Furnace State Park, Pennsylvania for $4-$15/night. Olympic National Park, Washington for $15-$22/night. Glacier National Park, Montana for $10-$23/night. Sawtooth National Forest, Idaho has many districts for camping with varying prices. Peninsula State Park, Wisconsin for $10/night. 3. Take a Road trip. Hit the open road and bounce from Inn to Inn while you bask in each other’s company and see the sights. Map out your stays at Bed and Breakfasts ahead of time or live on the edge and just drive until you’re tired. Either way, a good ol’ fashioned road trip is good for the soul.